If there’s one man who’s remembered as a Western hero par-excellence, surely it’s Winston Churchill. He has been promoted not only in Britain but also throughout much of the world as the symbol of resistance against the most hideous war criminals in history, the Nazis. This reputation may be deserved. However there was another side to the man, less pleasant and therefore kept out of public view, namely racism. In fact, many of the views he held were virtually Nazi. For example, as Home Minister he had advocated euthanasia and sterilisation of the handicapped. In his own racial hierarchy, blacks were down below all others, Indians too were markedly inferior to Europeans. Even Italians did not have the character to rule themselves, which was why Churchill believed they needed a dictator, and therefore applauded Mussolini. 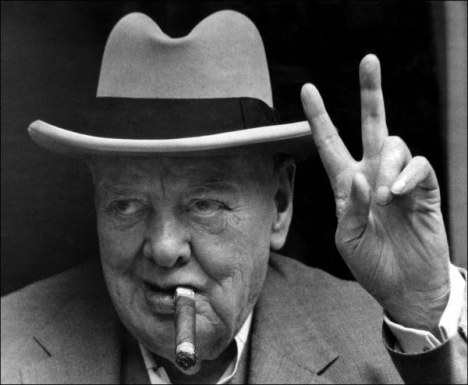 The extent of Churchill’s racism can be gleaned by many extracts from his speeches. For example, in 1937 he said “I do not admit…that a great wrong has been done to the Red Indians of America, or the black people of Australia…by the fact that a stronger race, a higher grade race… has come in and taken its place.” Thus justifying one of the most brutal genocides and mass displacement of people in history. He also had hatred for Indians “I hate Indians. They are a beastly people with a beastly religion.” By `beastly religion’ he was of course talking about Hinduism. This is not to say that Churchill’s firm wartime leadership should not be admired, or that these few quotes should be used to sum up Churchill’s entire view on the subject of race. But they do, even as a slip of the tongue, demonstrate a level of racism that would be denounced as unacceptable in today’s world. Even at that time, when racism was far more ingrained into society, Churchill’s views were worse than the norm. We should be wary of allowing successive generations of our own community to internalise an unrealistically rosy view of this leader who had deep contempt for our race and religion.